The new FootJoy DryJoys Tour golf shoes are designed with incredible style and have taken performance to the next level with Stability PODS technology. Footjoy Dryjoys Tour shoes feature full leather linings for extreme comfort and a softer PU fit bed for unmatched cushioning during the round. I was looking for narrow golf shoes, a difficult task. Found what I needed and received the shoes in a timely manner. I would recommend this site. A classic that stands the test of time! I purchased this shoe last year in a saddle (black & White) They are very comfortable and I have received many compliments. The shoes were delivered within four (4) days of the purchase. I will definitely buy from Carl's again! The shoes are exactly what I wanted and I received them quickly. 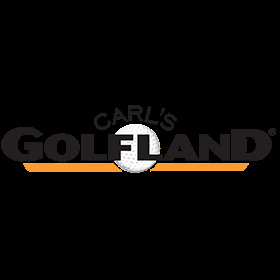 I will definitely use Carl's Golfland again! The Footjoy shoes are the best around. They are comfortable and last forever. The last pair I had for 8 years before the waterproofing no longer held up. The shoe itself is still in great shape. I have small feet and these Footjoy shoes from your place make the 18 holes perfect. Now if you can find golf balls that are guaranteed to go in the hole...I'll take a dozen.